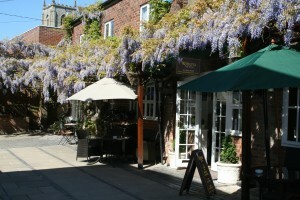 Family run Wisteria tea rooms is situated in Newmans yard in the North Norfolk market town of Fakenham. With a fine selection of homemade cakes, jams, a selection of gluten free produce & lots of lovely locally sourced ingredients we are proud to be their supplier of ice creams & sorbets. Wisteria tea rooms have also teamed up with Norfolk artist association CAPER so you can enjoy some fine Norfolk landscape paintings along with your mornings coffee, light lunch, cream teas or even an ice cream! We would like to wish mother & daughter team Samantha & Kirstin Holsey all the best in their new venture from all at Ronaldo Ice Cream.